The Franklin County Retired Teachers' Association had an unusual beginning. Its history was so intertwined with the beginning of Ohio Retired Teachers Association that the two seem inseparable.In 1947, there were two organizations of retired teachers in Franklin County. One was the Retired Schoolmasters Club which consisted entirly of men. The other was the Retired Teachers Club. With the Teachers League of Ohio, these groups became one as the Ohio Reitred Teachers Association. In 1949, a meeting of Franklin County retired teachers was called by W. O. Lambert. 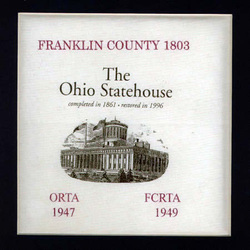 The Franklin County Chapter of ORTA was formed at this time. In 1984 a newsletter was started for Franklin County. Today, the Franklin County Chapter RTA continues to grow, continues to do volunteer work both as individuals and as a group and has received a variety of awards for their continued efforts.